The of Use Hard Edging Materials – Everything from rough cut stones to thin steel sheets can make an attractive border if used in the right way and with the right décor. Stone is great for a traditional look while copper or stainless steel works well with more contemporary house styles. Border Plants Also Work – Adding a little height along the edges of a landscape creates visual interest and defines the area without having to resort to an unattractive fence. Plants like ripple grass will also add a dramatic effect as they move with the wind. For more information on creating your perfect outdoor space, please visit us online at OutdoorExpressions.net or phone us directly at 888-210-1116. Outdoor Expressions – Making your outdoor space a place to remember. Admittedly, these plants take some regular care but involving your employees in the process is a great way to give them a break from their busy day. There is really nothing like taking a twenty minute break to weed lightly. The small amount of calming work and the fresh air clears the mind and re-energizes the body. With appropriately placed containers, you can add color and fragrance to almost any space – even interior ones, if you have the appropriate fluorescent lighting. Herbs grow like the proverbial weed and, once mature, can be harvested on an almost daily basis to enliven any meal. For more information on commercial landscaping firms and their benefits, visit us online or phone us directly at 888-210-1116. Outdoor Expressions – Make your outdoor space a place to remember. False Indigo – A relatively tall plant – so it can be installed towards the back of a landscape , indigo is also a preferred choice of both bees and butterflies. It all adds up to wonderful mix of flora and fauna in your landscape. Peony – For some heavenly fragrance as well as visual beauty, few plants match the peony. In addition, the intersectional ones produce some of the largest blooms found in any garden – residential or commercial. For more information on these and other commercial landscaping tips for the Atlanta area, please visit us online or phone us directly at 888-210-1116. Outdoor Expressions – Making your outdoor space a place to remember. 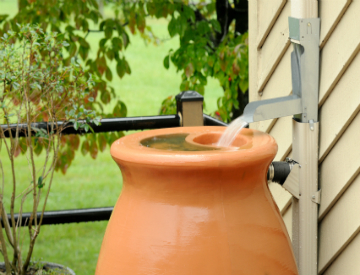 Use Some Well-Placed Planters – For even less effort, a few well-positioned planters can collect rainwater directly off the roof if placed with some care. The only problem is you will not be able to pass by without getting wet. 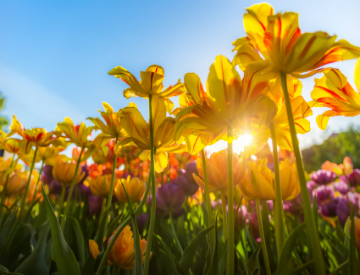 Utilize the Ground as Well – Installing a flower bed in an area that already collects rainwater is a great way to utilize storm water runoff and also to keep the area from becoming a mud-filled mire. For more information on managing the storm water on your property with planters or for finding an Atlanta landscape designer, visit us online or phone us directly at 888-210-1116. Outdoor Expressions – Make your outdoor space a place memorable. When it comes to landscaping, a designer has no better friend than natural light – although artificial light at night is a close second. 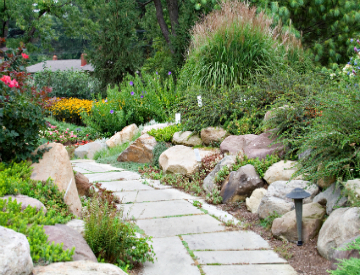 Here are a few ways to take advantage of this blessing from Mother Nature and to turn your backyard from something merely “nice” into something truly spectacular. 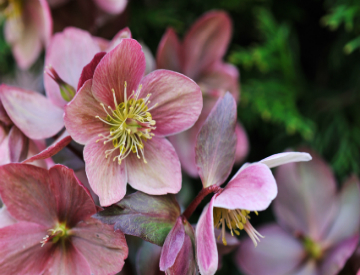 Add a Focal Point – This can include a sculpture or just an architecturally interesting plant. Either will cast interesting shadows as the sun progresses across the sky. Include a Level Water Feature – Reflections are a fantastic way to expand a small space and they add a lot of visual interest as well – especially when a slight breeze causes them to ripple. Highlight the Rising or Setting Sun – If available, the rising or setting sun makes a dramatic backdrop in any garden. Try to set your backyard seating to take advantage of one of these views. For more information on using natural light in your yard or to find a Atlanta landscape designer to help you accomplish your vision, please visit us online or phone us directly at 888-210-1116. Outdoor Expressions – Make your outdoor space a place to remember. Spring is here, and with it comes a host of chores that need to be accomplished in the garden if you want it to be successful for the rest of the year. Here are some important tasks that should have already been finished. If not, it is time to get busy! Start the Vegetable Garden – For the best, most productive crop, your vegetables – especially peas, carrots, and onions as well as spinach, cauliflower and broccoli – should be in the ground already. Otherwise, you are simply wasting valuable growing time. 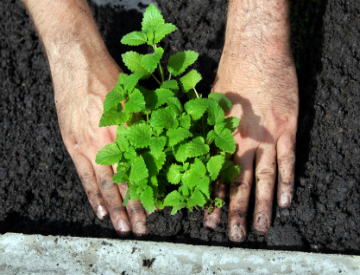 Weed the Flower Beds – Just like more desirable plants, the weeds in your garden are just getting established. Taking the time to cull them out now will save you a lot of time and effort in the coming months. 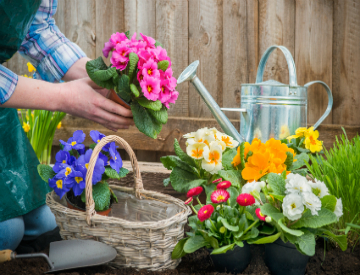 For more information on these spring gardening tips, visit us online or phone directly to 888-210-1116. Outdoor Expressions – Make your outdoor space a place to remember.